El Reno, OK, July 31, 2014, Robert G. Gottshall, Director of Construction Services at OGE Energy Corp, has been recognized by Elite American Executives for dedication, achievements and leadership in operations management. Mr. Gottshall started his career as a linesman 32 years ago and has steadily progressed throughout the industry to become a well-respected leader. Known for his expertise in operations and processes, he is responsible for overseeing all linemen, construction on sub-stations, maintenance and storm damage. Throughout his career, Mr. Gottshall has demonstrated excellence in the utility industry, serving in a variety of management and executive roles. He has managed multi-million dollar budgets, led high-profile projects, and developed lasting relationships with clients and key industry professionals. 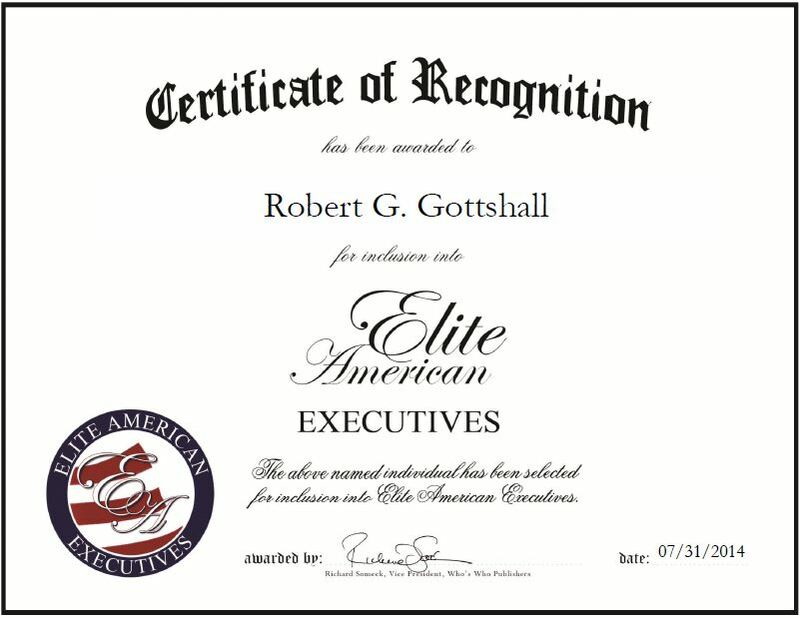 For his exceptional work, Mr. Gottshall was awarded numerous accolades and distinctions. He attributes his success to effective interpersonal communication, organizational strategy and being team- and process-oriented. Looking toward the future, Mr. Gottshall expects to stay on top of the technological advancements in energy. Aside from his work at OGE Energy Corp, Mr. Gottshall is an adjunct professor, teaching electrical system components at Bismarck State University. He enjoys being able to pass on his knowledge and mentor up-and-coming industry professionals. This entry was posted in Utilities and tagged adjunct professor, electrical systems, energy, linesman, operations. Bookmark the permalink.